Selena Gomez just had breakfast with her ex, Justin Bieber, and it seems The Weeknd is not happy seeing them together. According to TMZ reports, Last week, that the two exes Justin Bieber and Selena Gomez were spotted hanging out again while The Weeknd is currently on his world tour. As it was reported that The Weeknd has no problem with his girlfriend of almost 1 year, hanging out with her ex, fans of the 'I Feel It Coming' crooner have noticed the Canadian has unfollowed some of Selena Gomez's friends and family, including her mother, her assistant Theresa Mingus, and her best friend/kidney transplant donor Francia Raisa. 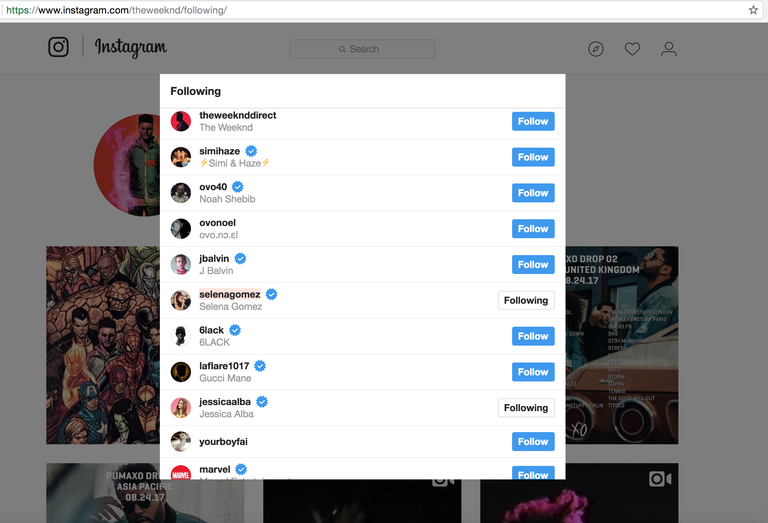 However, Selena and The Weeknd still following each other on Instagram.